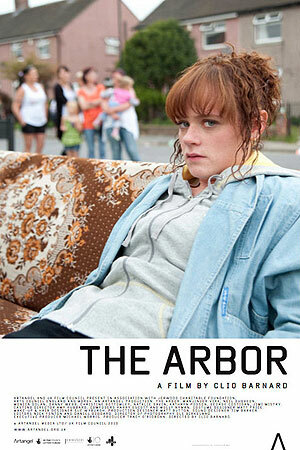 The Arbor, by Clio Barnard, is a remarkable film: conceptually acute, brilliantly realised, impossibly sad. It’s all very crafty, suggestive and enthralling. Best of all, Barnard’s strange method manages to be both questioning and coherent: the very fabric of the film admits that Barnard can only offer us versions of ‘the truth’, but those versions are still convincing and often staggeringly moving. Brilliantly blurring the borders of narrative and documentary filmmaking, Clio Barnard beautifully reconstructs the fascinating true story of troubled British playwright Andrea Dunbar and her tumultuous relationship with her daughter. Working from two years of audio interviews, Barnard uses classic documentary techniques, actors, theatrical performance, and Dunbar's own neighbourhood to generate a unique cinematic feast while unravelling the truths of a dark family past. Inventive and Haunting...Provocative and Mesmerizing.